Located in north east Scarborough in an area originally called Milliken’s Corners – a hamlet founded in 1807 by Norman Milliken, a United Empire Loyalist from New Brunswick. 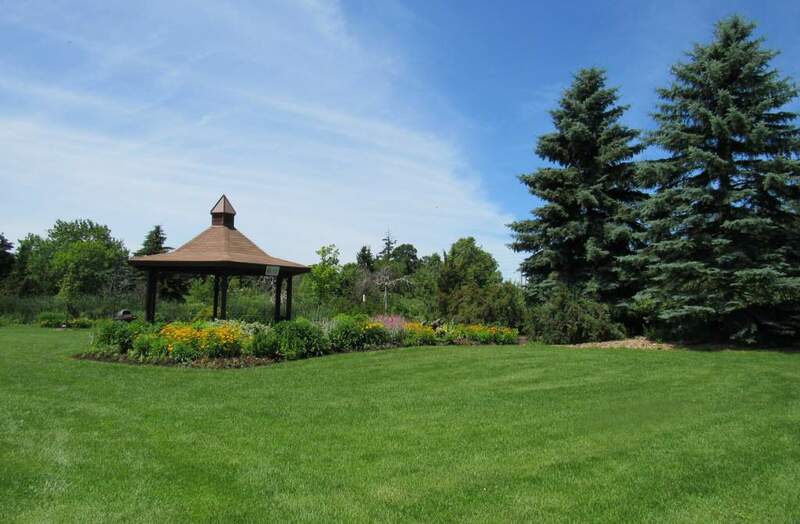 Milliken Park was opened in 1993 and occupies 32 hectares of area that was once a farmland. Walking trail from Alton Towers Circle into the main park area. What to do at Milliken District Park? 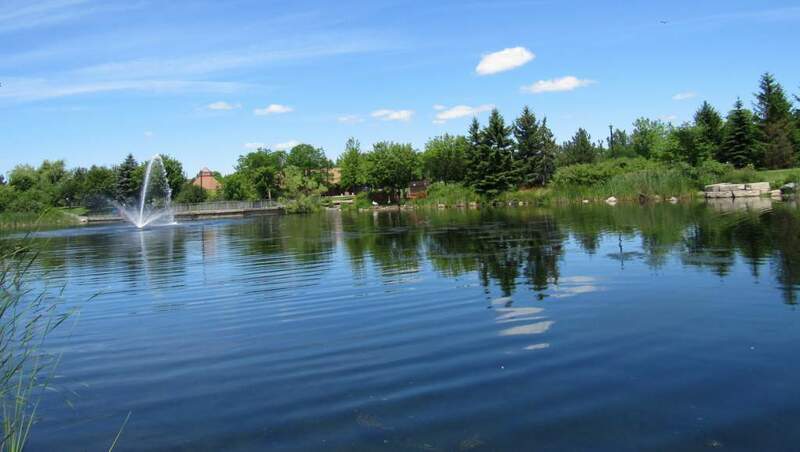 Explore the large park, stroll the boardwalk and watch trumpeter swans, waterfowls enjoying a swim in the pond. Take a hike, or a run on the paved trails around park and enjoy the beautiful scenery. The park has landscaped gardens with gazeboes and water features. There is a also a small rain garden. There are 3 play grounds and a splash pad for kids. Milliken Park Community Recreation Centre is located in the park. 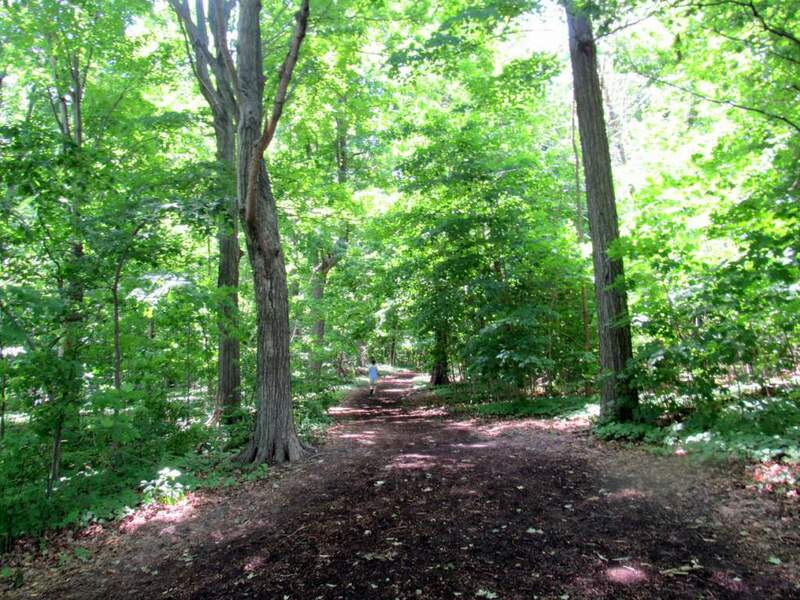 When to visit Milliken Park? Half an hour and more depending on interest. 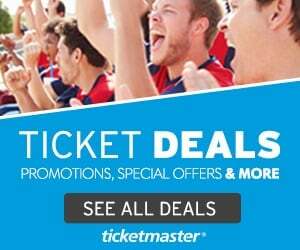 How much to visit Milliken Park? How to get to Milliken Park? 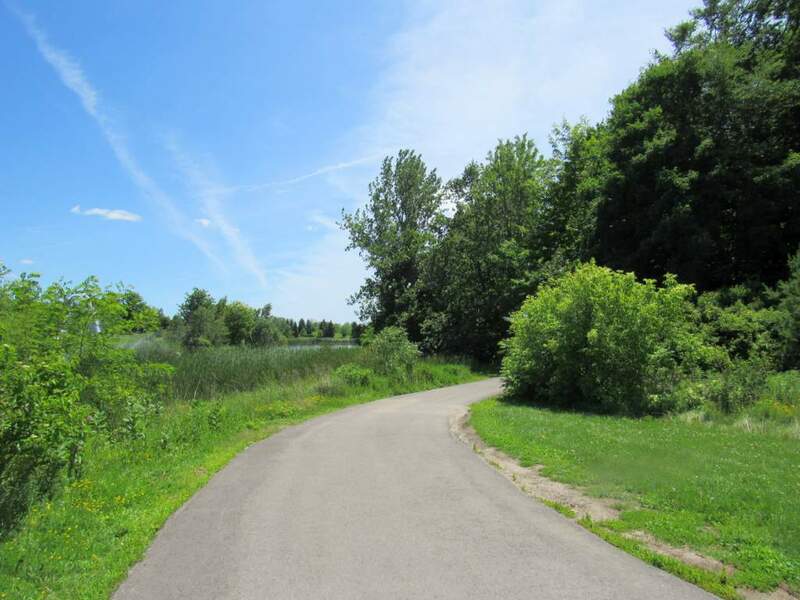 Milliken Park is located at 5555 Steeles Ave E at the intersection of Steeles Ave E & Middlefield Rd. You can access the park through pedestrian entrances to the hiking trail that goes around the park. One of the playgrounds is situated at park boundary near Alton Towers circle. Free Parking: at the two entrances – Park entrance at 5555 Steeles Ave E (between McCowan & Middlefield Road) and at Milliken Park Community Recreation Centre at 4325 Mccowan Rd. Parking on Canada Day: The parking lots will be full long before the event starts. Arrive early or park on the side streets leading from Alton Towers Circle. What about Amenities & Accessibility at Milliken Park? Feeding waterfowls, and fishing not allowed. Pets should be on leash.